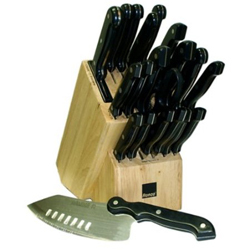 Ronco Six Star Plus Knife Set is series of 25 knifes that caters for all your cooking preparation and needs. There is 25 in total for one very relative, where normal professional knifes cost around 220$ for one really good one. With your help we can reach more people and let them know about Ronco Six Star Knives Set whether this product works or not.